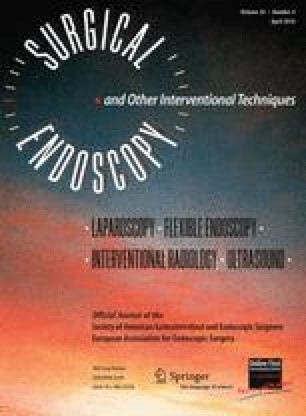 Although laparoscopy is associated with reduced hospital stay, early recovery, and decreased morbidity compared with open surgery, it is not well established for the treatment of small bowel obstruction (SBO). This study analyzed a prospective nationwide database of the Swiss Association of Laparoscopic and Thoracoscopic Surgery. From 1995 to 2006, 537 patients underwent laparoscopy for SBO. Matted adhesions were the main cause of obstruction (62.6%). Intraoperative complications occurred for 9.5% of the patients. Postoperative morbidity was 14% and mortality 0.6%. Within 30 days, 13 patients (2.4%) were readmitted because of early recurrence or complications. The conversion rate was 32.4%. The conversions resulted from inability to visualize the site of obstruction or matted adhesions (53.4%), intraoperative complications (21.3%), and small target incisions for resection (25.3%). Emergency operations were associated with higher conversion rates (43.6% vs 19.8%; p < 0.001) but not with significantly more postoperative complications (15.2% vs 11.9%; p = 0.17). Intraoperative complications and conversion were associated with significantly increased postoperative morbidity (39.2% vs 11.3%; p < 0.001 and 24.7% vs 8.3%; p < 0.001, respectively). Reactive conversion due to intraoperative complications was associated with the highest postoperative complication rate (48.6%). Morbidity for preemptive conversion due to impaired visualization/matted adhesions or a small-target incision was significantly lower (20% and 26.1%; p = 0.02 and p < 0.001, respectively). American Society of Anesthesiology (ASA) scores higher than 2 also were associated with postoperative morbidity (p < 0.001). However, multivariate regression analysis showed that reactive conversion was the only independent risk factor for postoperative morbidity (p < 0.001; odds ratio, 3.97; 95% confidence interval, 1.83–8.64). Laparoscopic management of SBO is feasible with acceptable morbidity and low mortality but with a considerable conversion rate. Early conversion is recommended to reduce postoperative morbidity.